For many fall seems like the time when things begin to wind down. It’s time for hot meals, enjoying the harvest, and snuggling up by the fire. However seasoned gardeners know that spending more time in your garden in the fall can lead to an easier spring. There’s still plenty of projects! There’s actually many varieties that are great for fall planting. Plants like garlic and winter wheat do best with a start in the cool months of fall. There’s also many root vegetables like carrots, beets, radishes, and turnips that can provide a late harvest along with hardy greens like arugula, pak choi, spinach, and mustards. Depending on your zone you may need to use season extenders like low tunnels and cold frames to keep your garden alive in late fall and winter. Make sure there’s no exposed soil! This is super important to maintaining a healthy and productive garden. Leaving soil exposed kills off beneficial fungi, bacteria, and insects. 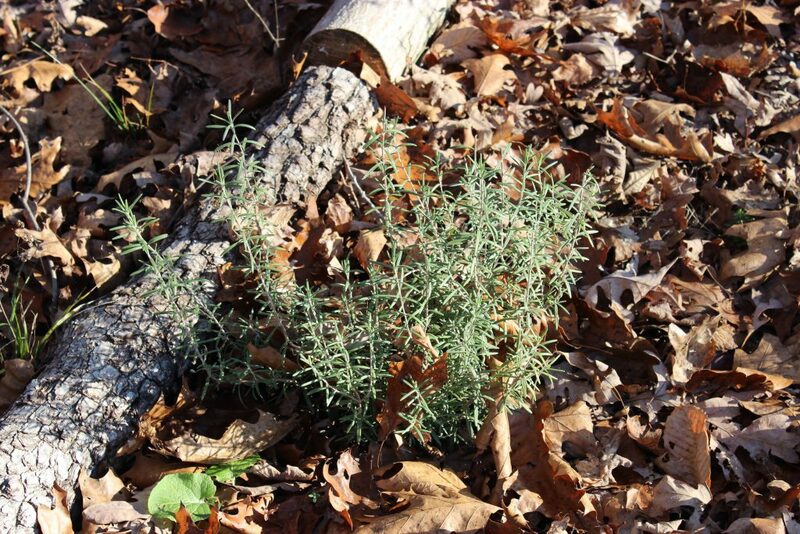 It also makes soil vulnerable to erosion and allows weeds to get an early hold in the spring. The best way to combat this is though the use of cover crops. You can find more about planting fall cover crops and Southern Exposure’s offerings from this article, Fall Cover Crops & Their Importance. 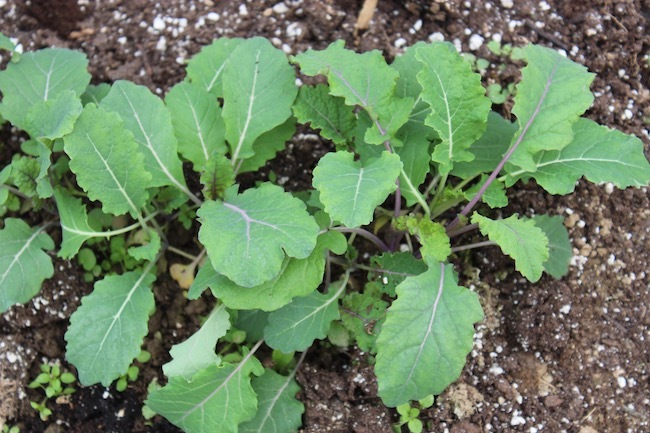 You can even use some traditional food crops (like mustard greens) as cover crops! If you cannot plant a cover crop at least consider covering the garden in mulch such as old leaves, hay, straw, or shredded newspaper. These block weeds, provide habitat for beneficial insects, and hold moisture which is necessary for good bacteria and fungi to thrive. There’s also many perennials you can add to your garden in fall. 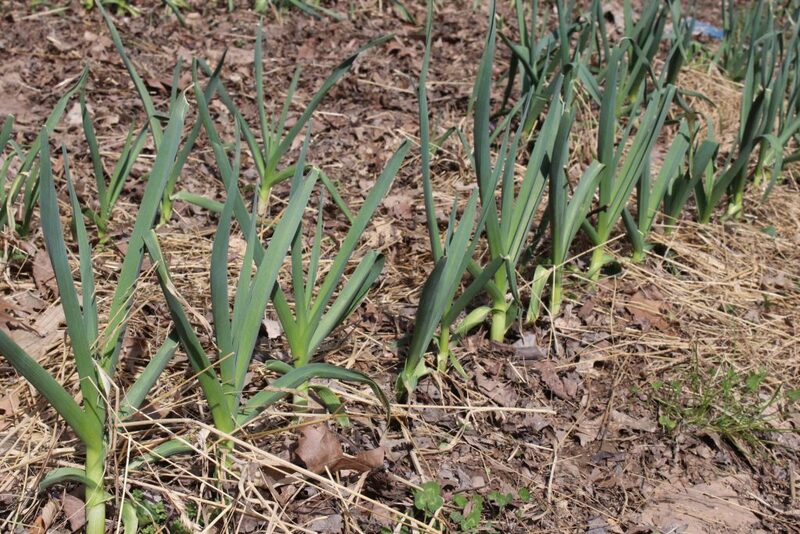 Perennial onions and certain flower bulbs like crocuses and daffodils are great for fall planting. Many fruit and nut trees and bushes can be fall planted as well. Placing mulch around the base of existing perennials can help prevent frost from reaching killing the roots (especially important with newly established plants). It can also help prevent weeds in the spring while you’re busy with spring planting and as it breaks down it will add nutrients to the soil. When mulching try to avoid making a thick “volcano” mulch mound around the trunk or base of the plant. Piles of mulch like this provide places for rodents to hid and chew on your plants. Take care of your tools and equipment. Fall maintenance can help keep your garden tools in tip top shape. Make sure to brush at least most of the dirt off your tools and sharpen any that need it. Some people use a bucket full of sand and old vegetable oil to plunge bladed tools (like shovels) into to get them extra clean and sharp after the big chunks of dirt have been removed. You may also want to sand down and rub linseed oil on any wooden handled tools that need it. Any equipment that uses fuel like rototillers should be drained or run out of fuel for winter. This is because leaving fuel for that long without running the equipment can plug up carburetors. If there’s tools or equipment that need replaced or equipment which needs professional maintenance it’s best to get it over with in the fall without the pressure of spring planting looming. 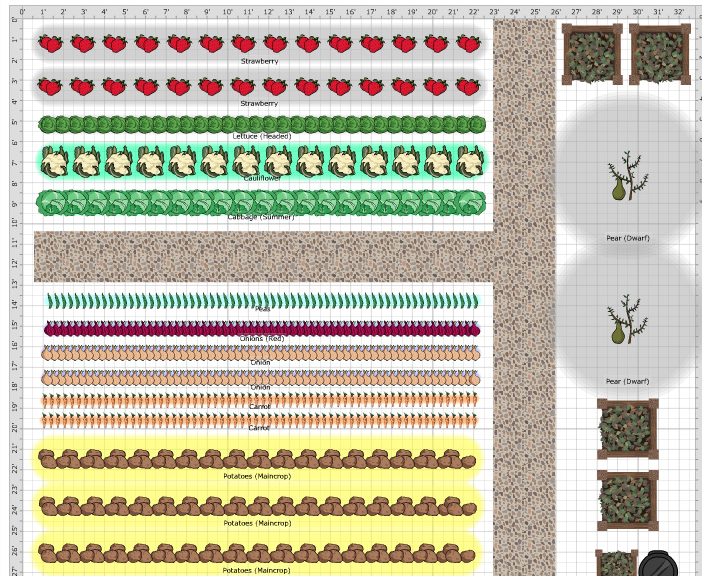 While not everyone may be enthused about having an extensive plan for their garden having a few basics mapped out can help you create an easier to manage and more productive garden. Planning should include looking at what seeds you still have or have saved considering what seeds you’d like to purchase and reconciling that with how much your garden will actually fit (not as many as anyone wants to believe). You should also consider a crop rotation including any areas that will be in cover crops. You can find the Southern Exposure garden planner to help with that here. You may also choose to consider your seed starting set up for next year. Some garden supply stores will have sales in the fall which you can take advantage of instead of paying full price next spring. Test and amend your soil. People typically test their soil and add amendments in the spring but there’s no reason not to get this checked off in the fall. It’s actually preferable to add things like manure in the fall so that it decomposes as much as possible before planting. The rest of this article may add a bunch of projects to your to do list but here’s one thing you can skip. Don’t cut down, rake, and remove all the dead plant material from your garden unless you’re combating a specific disease or insect that overwinters in the material. While you may think your garden looks tidier barren this plant material actually helps many beneficial insects survive the winter. Get a step ahead in your garden while the weather is cool and pleasant. By doing some basic fall tasks you can be prepared for spring planting and get crops in the ground right on time. You may also end up with a healthier more productive garden without too much effort. Happy autumn! As temperatures begin to cool many people start to think of harvesting long season crops like popcorn, pumpkins, and winter squashes but for the avid gardener it can still be time to plant. Whether you just love fresh food, have been inspired by books like 4 Season Harvest, or just desire more food independence SESE has many varieities that can still be planted. For the purposes of this post we focused on the USDA Hardiness Zone 7A where Southern Exposure is located. That does not mean these are not still possibilities for your garden even if you live farther north. However your choices may be more limited and you may need to utilize season extenders like cold frames or row cover. Beets are relatively cold hardy and quick to maturity. 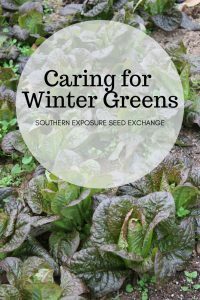 Grow them for fall greens or roots to store through the winter. 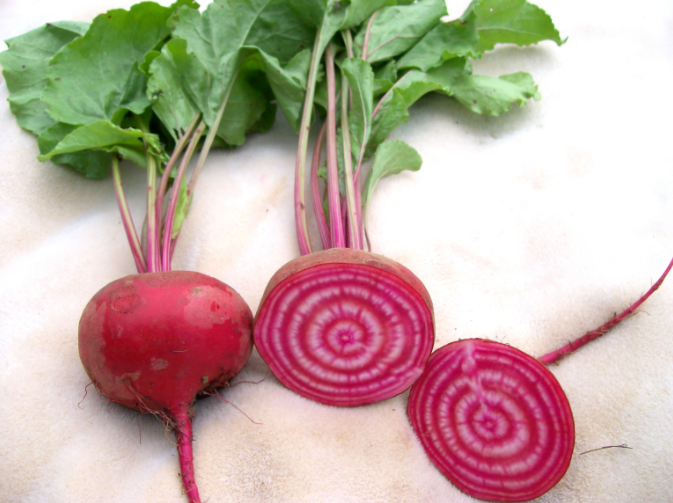 In zone 7A beets can be sown up to Spetember 15th. 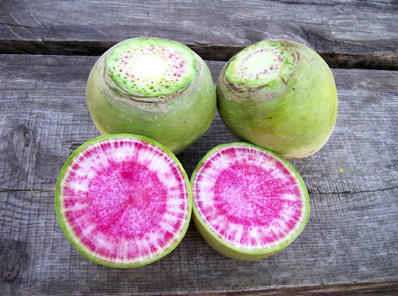 These Chioggia beets are both beautiful and ulitarian. They’re a fast growing, prolific, pre-1840 Italian heirloom with good flavor and storage properties. Collards are a beloved southern green that can be added to your fall garden until Spetember first in zone 7A, so it’s time to get some in now! 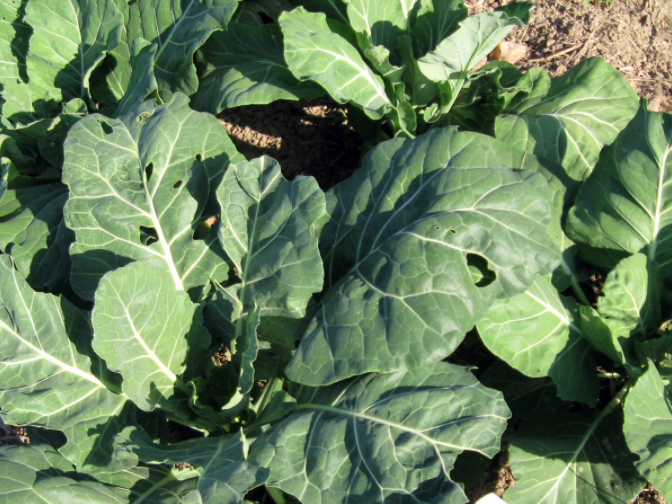 Champion collards reach maturity in 75 days and have enhanced winter hardiness, making them an excellent choice. Endive is very sensitive to hot weather so fall is actually a perfect planting time. The plants can be stored for winter use by digging the plant with the root ball intact and keeping in a root cellar or area of your home that stays around 50°F. Endive can be planted until September 15th. Broad-Leaved Bativian has 12-16 inch creamy white heads with dark green outer leaves. It matures in 90 days. 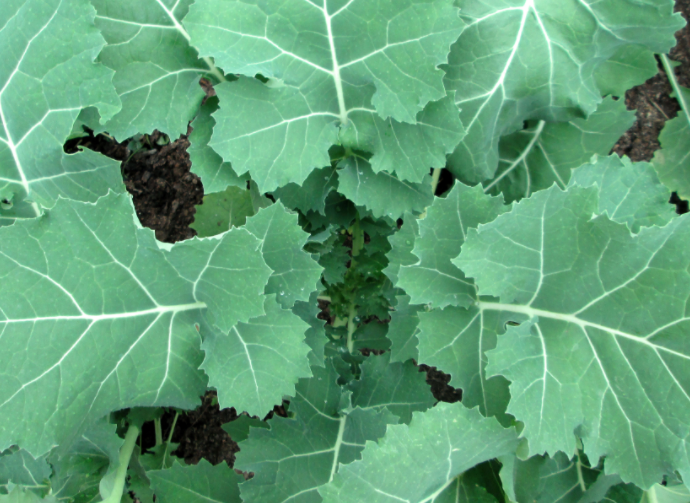 Kale is a wonderfully hardy green that can help keep your garden going year round. It can be sown in a zone 7A garden until September 15th. Premier is a delicious variety with very tender leaves. It’s ready to harvest in just 60 days or can be over-wintered for awesome, early spring growth. Lettuce is an easy choice for most gardens because it’s commonly liked and easy to grow. 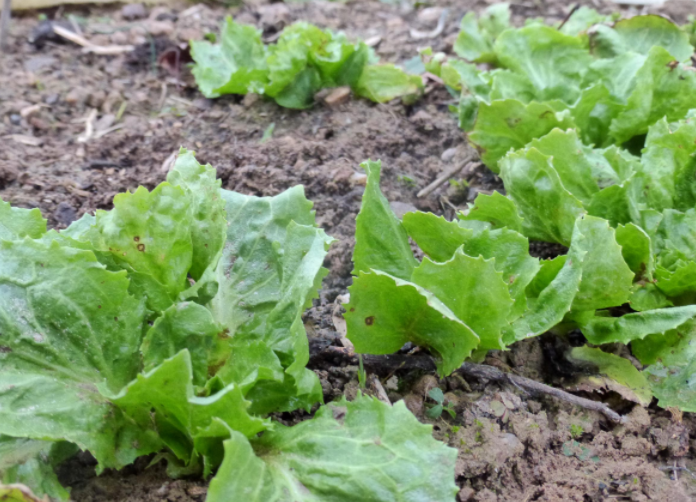 However in zone 7A much of the summer it can be difficult to grow lettuce because of the hot temperatures. Thankfully lettuce crops can be sown in the fall until Spetember 21st. 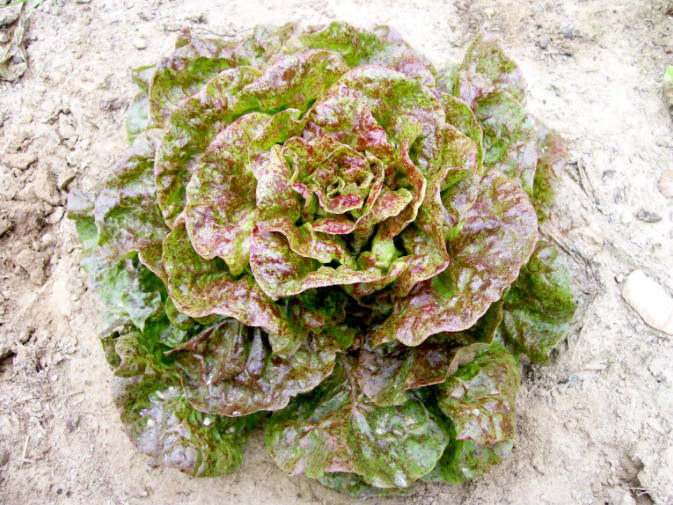 Speckled Bibb Lettuce is an excellent because it’s great tasting, gorgeous, and grows quickly in cool weather. You can have a Speckled Bibb harvest in just 43 days. 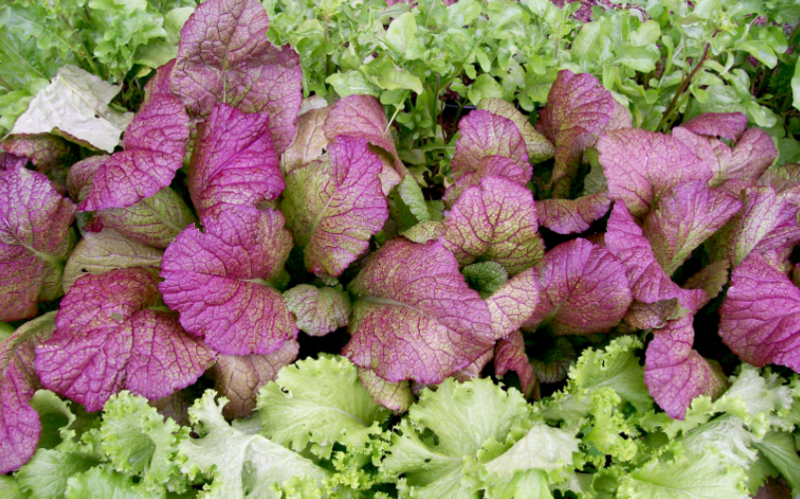 Mustards are great cold tolerant greens with a lot of flavor. They can be planted in zone 7A as late as October 1st! Red Giant Mustard is an insect resistant variety originally from Japan. Its reddish purple leaves are stunning, cold tolerant, and strongly flavored. Radishes are a quick crop that can be sown up until November first in Zone 7A. Some radish varieties store especially well making them great for winter use. The beautiful Misato Rose Fall Radish is an SESE favorite. It’s super easy to grow, matures in about 60 days, and keeps well. 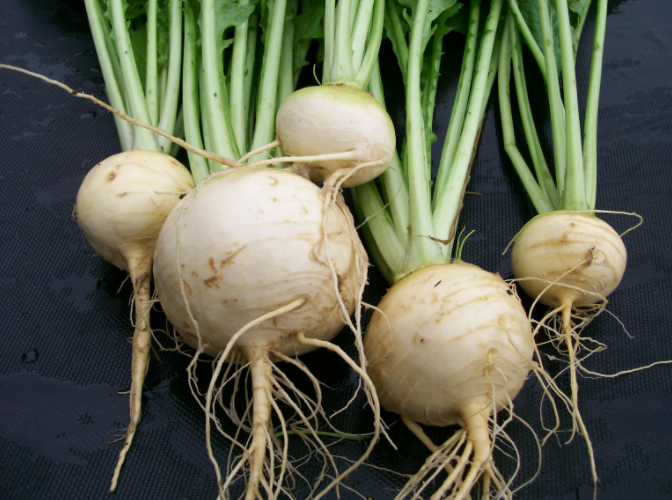 Turnips are another hardy root and/or green to add to your fall garden. They can be planted as late as October 1st in the inland plains of the mid-Atlantic. The Amber Globe Turnip is a fall variety that dates back to before 1840. It has sweet, fine-grained, creamy yellow flesh. Matures in 63 days. If you don’t find favorites among this list be sure to puruse other varieties. Especially if you live in zone 6 or warmer or have season extenders there’s still plenty of varieities to offer a fall and winter bounty. As autumn continues and the weather cools off more it will also be time to plant other crops like spinach, garlic, and perrennial onions.